The value and comfort of being an organizational “super tanker” in the hyper-competitive and dynamic business environment of today is questionable. The size of the “super tanker” has become a challenge. Sudden “icebergs” in the form of business model and technology disruptions pop up everywhere without leaving the organizations sufficient time to maneuver around them. Maneuverability is not the only challenge! The “super tankers” are also challenged by their ability to innovate and to engage employees. This is where the silos in your organization can help! You shall save the silos and the obvious advantages they have. And then turn them into an army of inter-connected speed boats. “But how?” – you might ask. Skip the corporate “Breaking Down the Silos” lingo. Silos are a fact of life in the way people relate to each other. We Instead you should save them and empower them to act! This is where you drive ENGAGEMENT for your employees. In the close relationships with likeminded people. And it is an extremely efficient way of organizing. NB! You might wonder, what the right maximum size of a silo is. 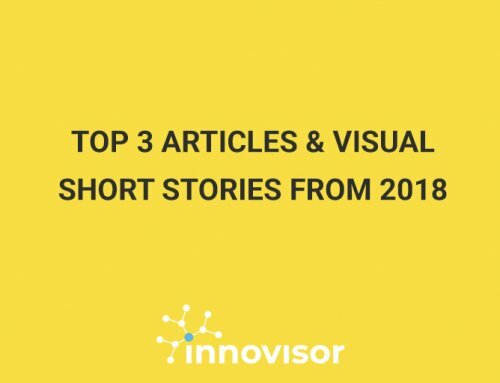 We know what it is in Innovisor, and I promise to write a post on it. Work with your leadership group. Make sure they act as ONE coherent team. 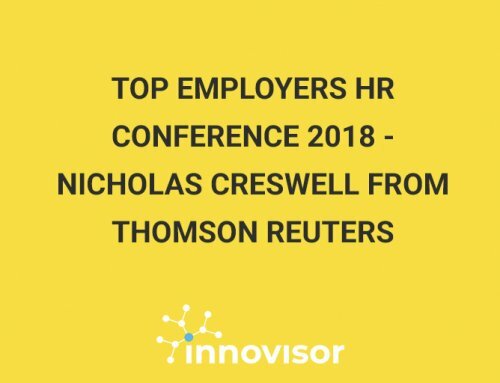 They must buy-in to the overall strategic direction, values, and principles – and then have the power to drive their own speed boats forward without too much supervision from the overall leadership. This is where the critical ALIGNMENT happens. Identify the right specialists and go-to people in the silos, and orchestrate their interaction and connectivity across the silos to achieve innovation and breakthrough thinking. 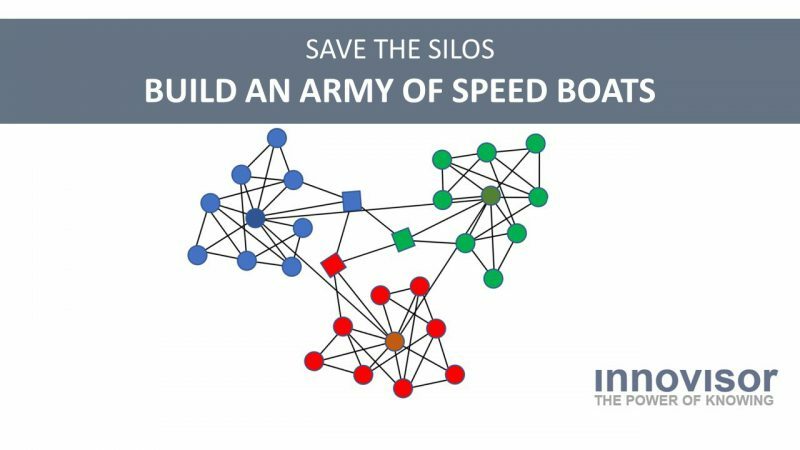 Remember it is only about 5% of the employees or less that should connect across the silos, and that they need sufficient time and resources to build the critical connections that will allow them also to have value-adding conflicts in their interactions. And it is not leaders that are to be connected! This is where you drive the INNOVATION that will help you survive. The first time I read about this way of structuring an organization was in a book by Dave Gray “The Connected Company”. He call it the podular organization. Later, I have seen similar principles described in the latest book of John P. Kotter “XLR8”. I am sure there are many other articles and books out there. For a practical case I can recommend reading up on Haier and its approach to creating micro-enterprises. It abolished its former bureaucracy system, and instead build a decentralized and disintermediated organization. It transformed its original pyramid “super-tanker” like into a flat army of speed boats.